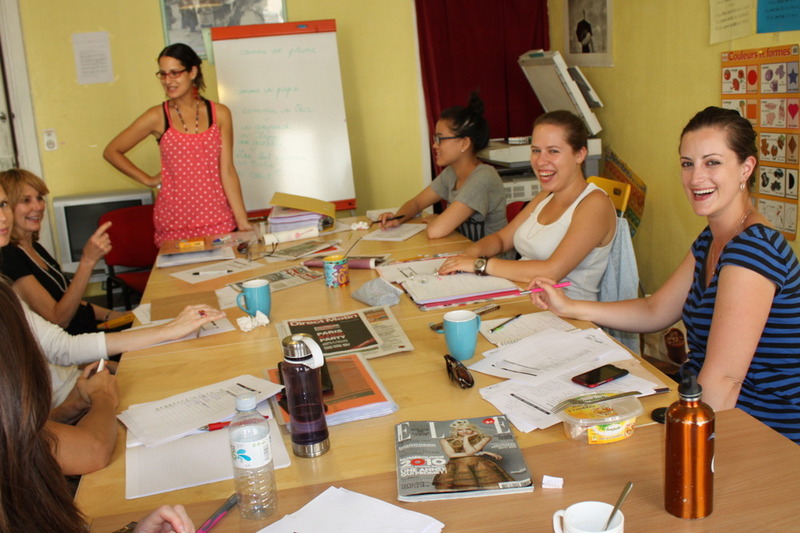 One of the objectives of my trip was that I would live in Paris for one month and learn French. 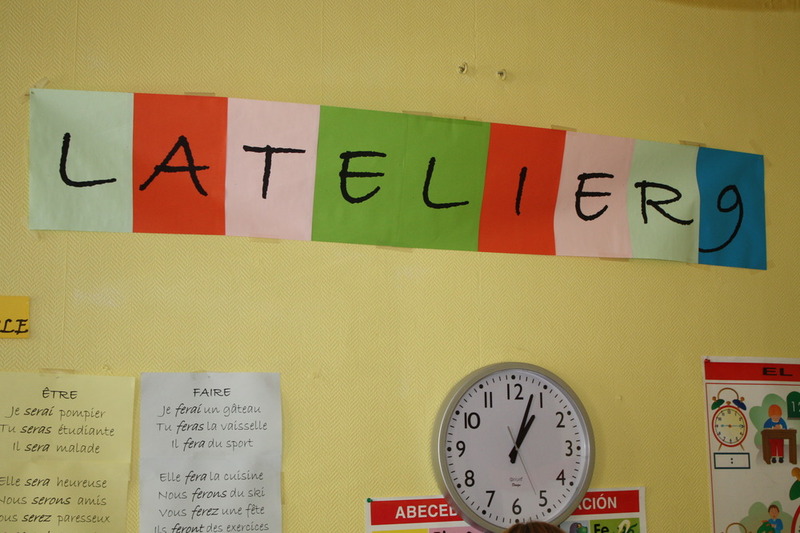 After months of deliberation earlier this year I selected a school called L’Atelier 9. I’d done what I usually do when looking for things….search on Google, read reviews and ask questions. From the beginning they were always very quick to answer my emails (and not to mention, super friendly) and the school was competitive on price. Plus, they arranged home-stay accommodation for me at no extra cost. And when I had an absolute nightmare with Paypal for the deposit, the Director, Stéphanie, was amazing and so patient! I was placed in an Intermediate Level class with Céline as our teacher. We started off as a group of girls from Israel, Czech Republic, Holland, USA, Germany, UK and South Korea, and two weeks into it some of the girls left and we were joined by another American girl and an Australian guy. At no point was there more than 9 students in total. 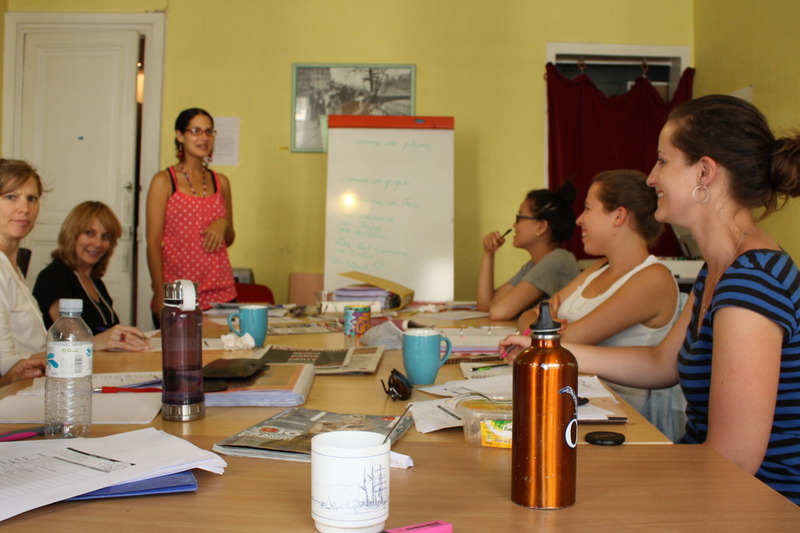 The classes were all in French and with the small size we were given plenty of opportunity to practice speaking. In one month my French improved dramatically, to the point where I managed conversations on the metro (mostly complaining about the heat) and had a chat about the football with a waiter at the café next to my house. He’d seen me in my Argentina football top and called me over to the café to express his sympathy about the hammering we received from Germany! Céline was an incredible teacher and she would write down pretty much everything so there was never any confusion about spelling or structure. 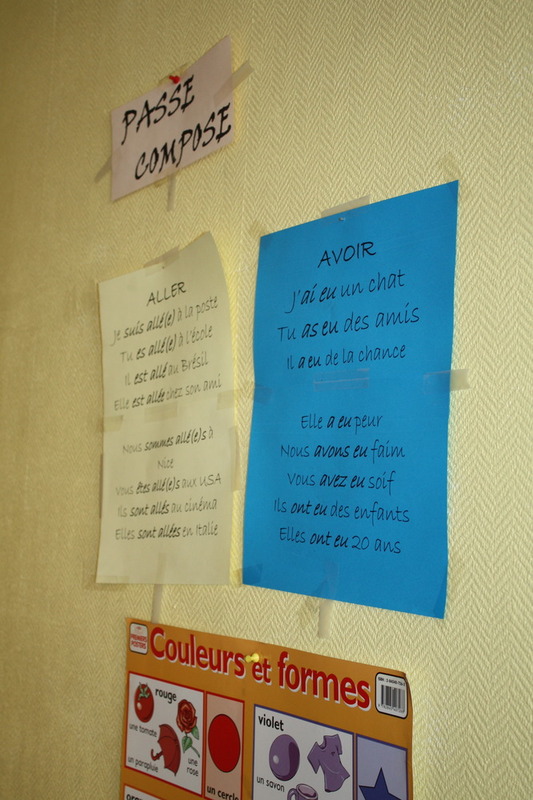 What I really liked in particular was that we also learnt how people actually speak (slang and idioms) rather than merely basic, formal French. There are plenty of schools in Paris, including prestigious ones like the Alliance Français and La Sorbonne, but I was really after something more laid-back. With L’Atelier 9 there was homework daily but there were no tests and that suited me fine; I wasn’t there to improve my French for any professional reason – it was purely for self-interest. The school also provides many free services, including information about events in Paris and a handy tips and hints session for newcomers to the city. Coffee and tea is on tap at the school, and there is free Wifi also. During my month there I also took part in a theatre workshop session after class one day, and an aperitif gathering to meet students in other classes. Of course, the whole experience was made all the better with the homestay I was placed in. Laurence welcomed me with open arms and we shared many laughs and evenings of long chats over wine. On my final night she prepared a delicious dinner of escargots, foie gras and macarons to share together along with Amalie, a Danish girl who’d taken the second spare room in the house during my final week. Also incredibly convenient was the location of my homestay in relation to the school. I was living in the 18th arrondissement (close to Montmartre), and the school was a 25-minute walk away in the 9th arrondissement, close to Galeries Lafayette. Four weeks isn’t long but it’s long enough to get to know some great people, and be missing them ever since. Some of us formed quite a tight-knit group and I look forward to seeing them all again!